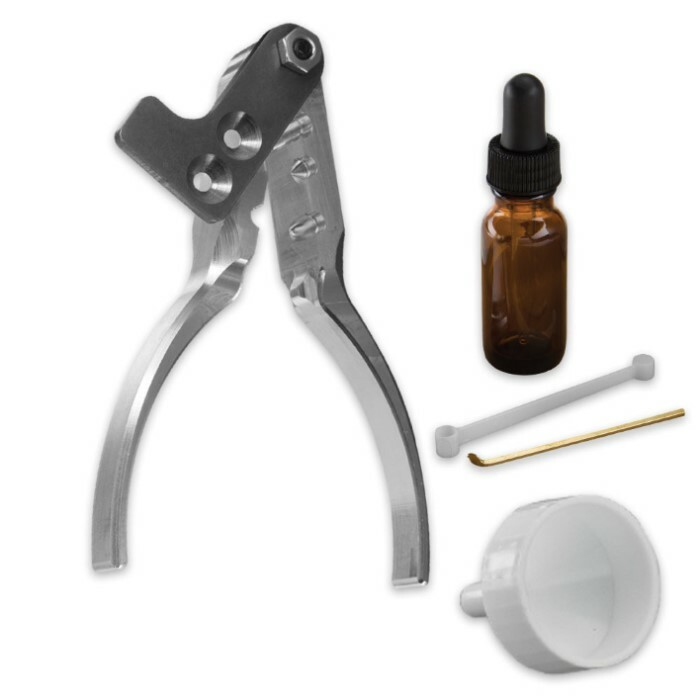 .22LR Reloading Kit | BUDK.com - Knives & Swords At The Lowest Prices! The Sharpshooter .22 Long Rifle Reloading Tool is your answer whether you’re simply looking for a way to beat inflation, supply and demand, or for enhancing your survival capabilities in an emergency. It is extremely light and compact and made to last for generations. A lot of time and development has been put into every aspect of the bullet mold from the steel spur cutter that cuts the base of the bullet flat, to the heeled .22 caliber bullet. 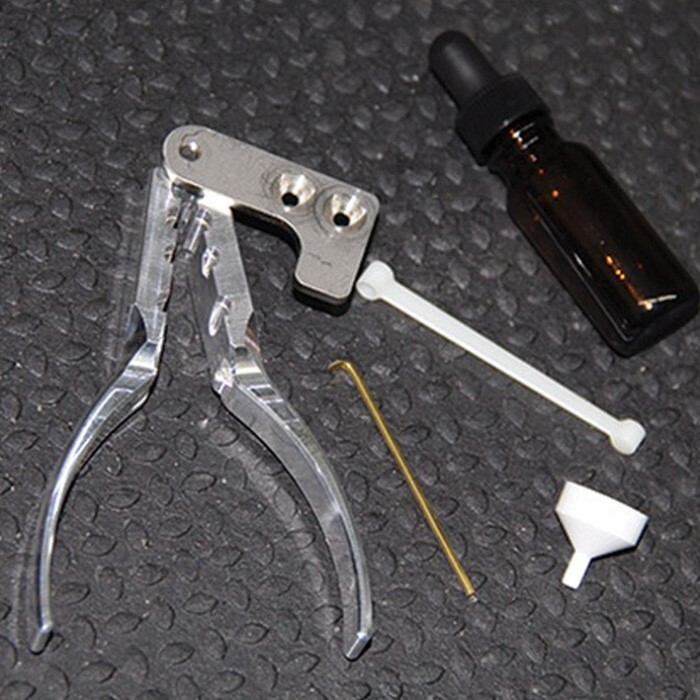 The lube groove allows you to properly lube the bullets as the pass down the rifling and the tool includes two bullet molds: a 25gr solid point bullet and a 38gr round nose bullet. 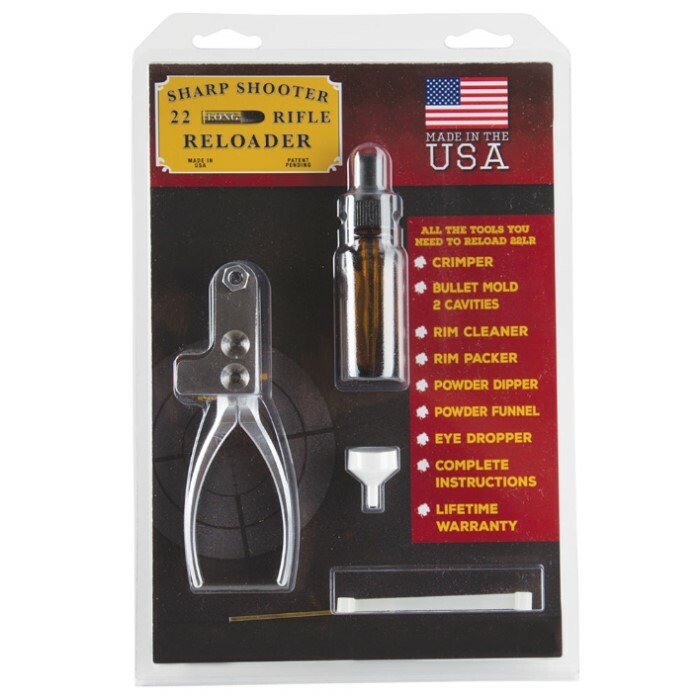 A crimping function is built into this reloading tool and the rim cleaner and primer packer was designed specifically for reloading .22LR, as well as, the double powder dipper. A glass eye dropper is also included and tiny funnel.